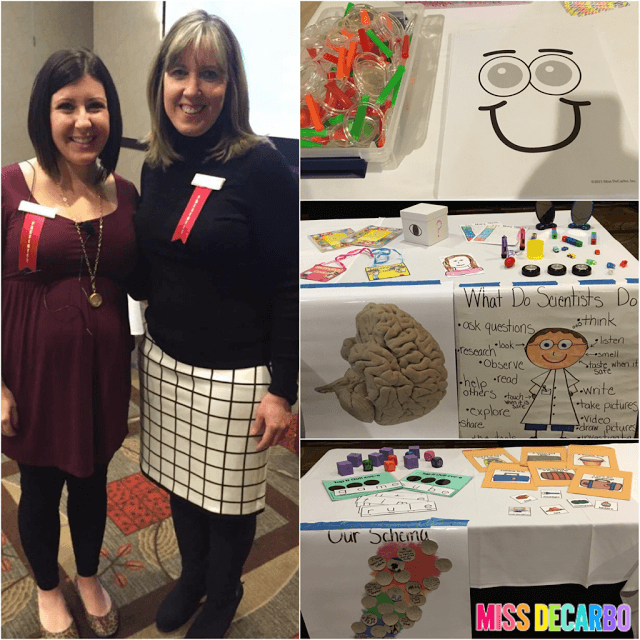 Last week, I presented a full day at the Ohio K-3 Literacy Conference in Columbus. 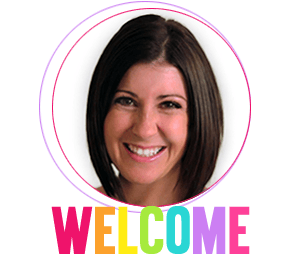 I would love to give you a quick recap of some of the topics we discussed throughout the day, as well as link to some free resources and ideas you can use, in case you did not get a chance to attend. 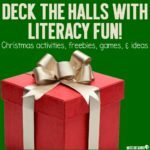 In this blog post, you’ll find a Christmas science experiment, a comprehension song to teach kids what metacognition is, and a Christmas oral language game. You can see a little sneak peek of the conference below. 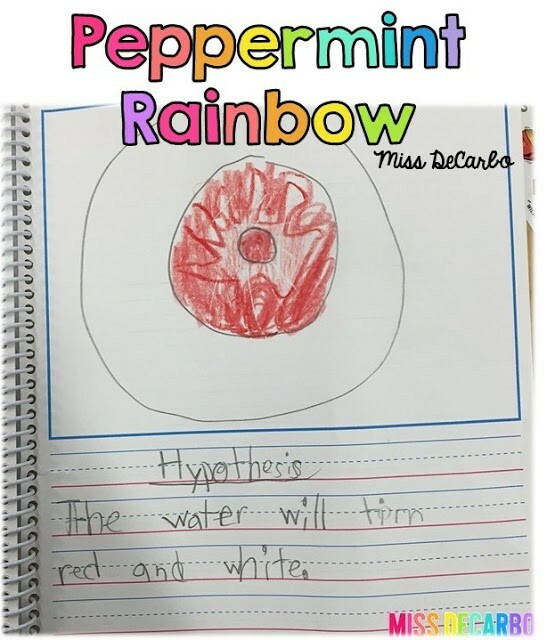 My first session was called Mixing Science and Literacy in the Primary Classroom. This session was a blast! 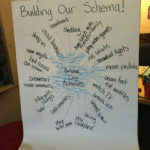 I LOVE teaching science and I had the opportunity to not only share a ton of science experiments and projects, but discuss how those activities are closely tied and integrated to our literacy curriculum. 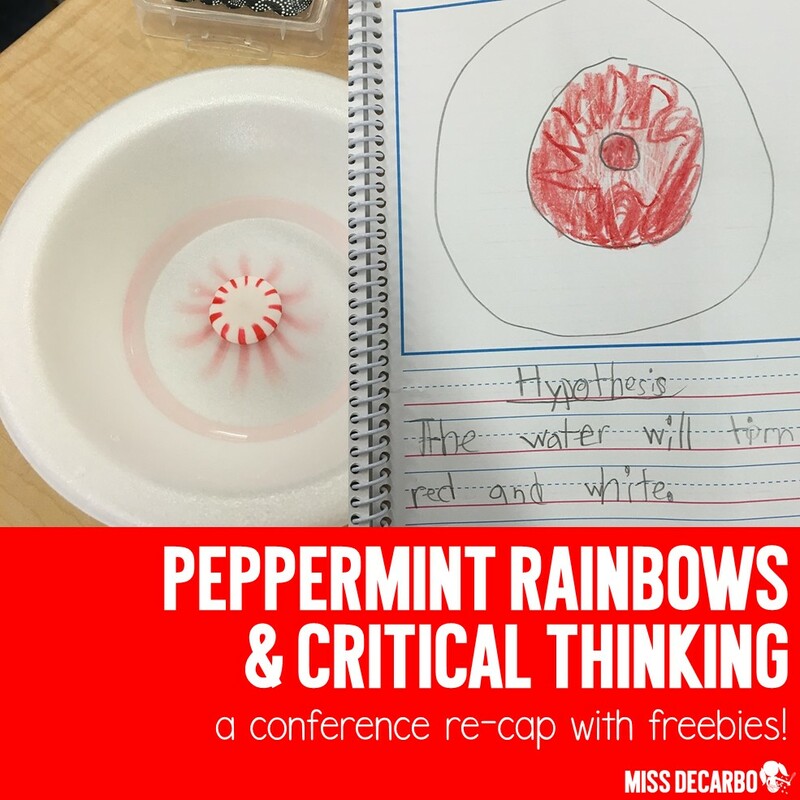 Since the conference was the week before Christmas break, I shared this fun Peppermint Rainbow experiment with the teachers who attended. I would love to share some pictures with you, as well. 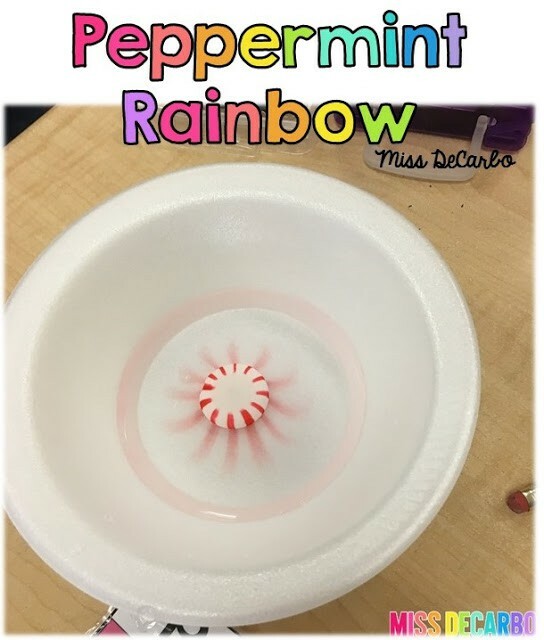 To conduct this experiment, simply drop a peppermint candy into a bowl of water and observe the changes! We discussed how we use our science journals to record our learning and construct meaning. 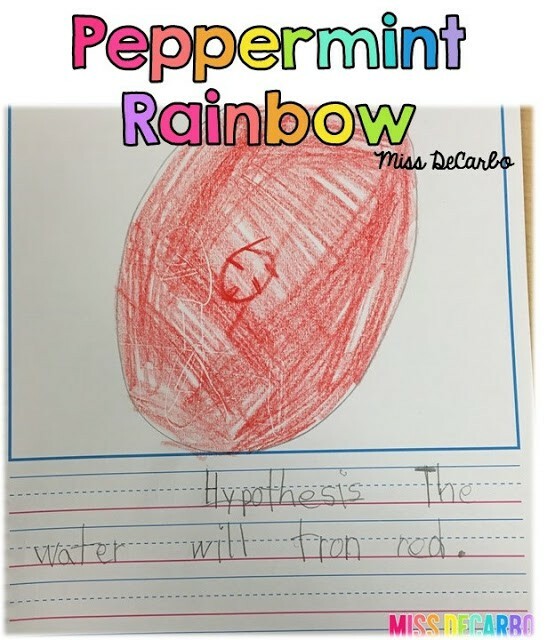 Here are a few pictures of the hypothesis and conclusion pages from my own little first graders. My next session was a comprehension session. The common thread running throughout all of my sessions is the importance of critical and higher level thinking in our primary kiddos. 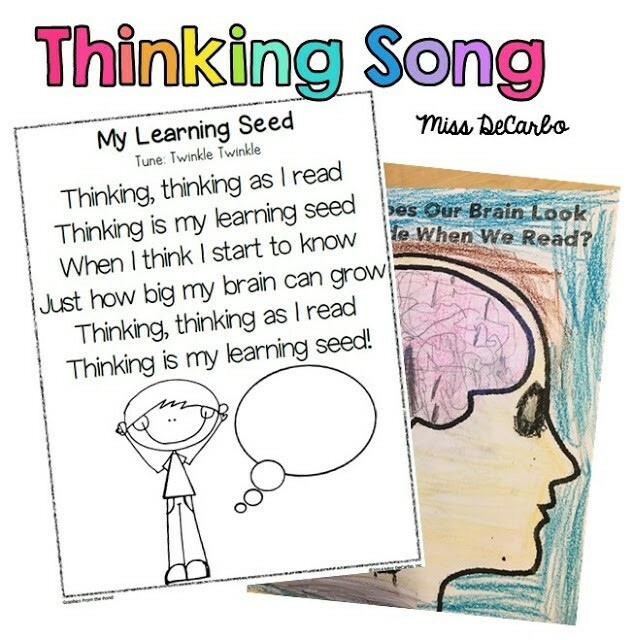 We kicked off one of our comprehension strategies by singing this little song that my students from last year created. I had to give all of those teachers credit for being so animated and willing to sing with me so early in the morning! 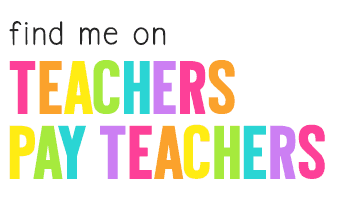 You can click on the picture below to download the printable song for your own classroom. You can also click here. After lunch, it was all about oral language! We discussed FUN and EASY ways to integrate oral language instruction and development into our school day. 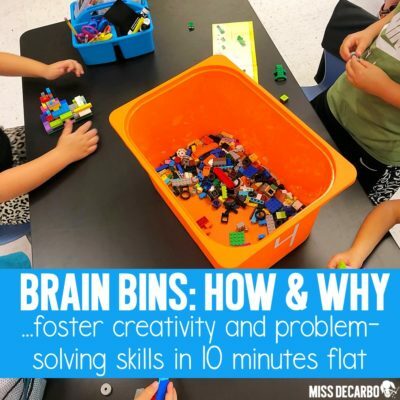 One of the ideas I always like to suggest is using the game Headbanz within the classroom. 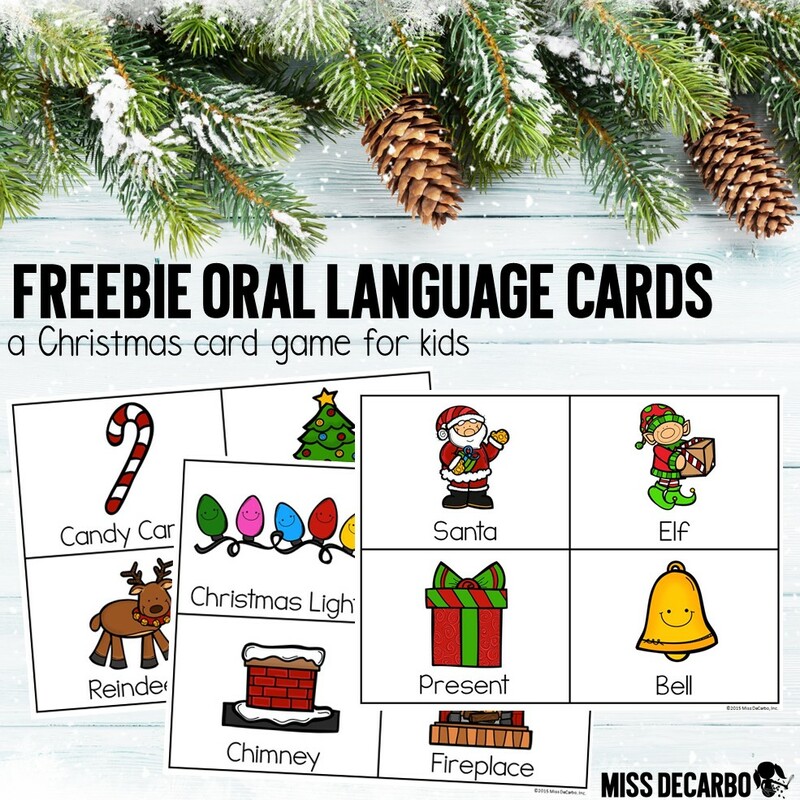 Since Christmas is THIS WEEK and I know many of you are home with your own sweet children and family members, I whipped up these little Oral Language Christmas Cards that you can use as a little “Christmas Headbanz” version at home! Click HERE to download the file. There are so many different ways you can play! Simple print and cut out the cards. 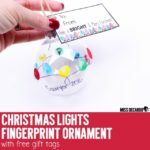 Your child will flip over a card and try to get the other players to name the object or item on the card. The catch is that you can’t say the words printed on the card as you are trying to get the others to guess the object. You can also play it similar to Headbanz, where the player must ask the others questions to try to figure out the object on the card. The BIG rule with this oral language game is that everyone playing the game, must speak in complete sentences. Why? 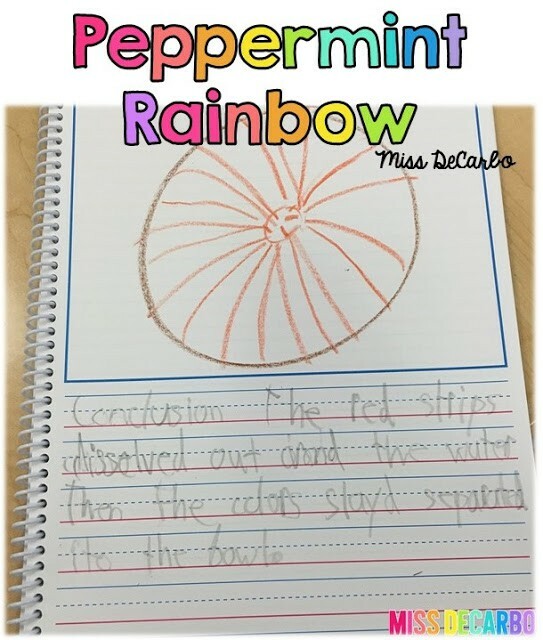 If we expect our students to write in complete sentences, we must implement this important rule into all of our oral language activities. In our small group session, we discussed a variety of different activities to use at the small group table for decoding, comprehension, fluency, and text talk. During the session, I shared a favorite website of mine called Rewordify. 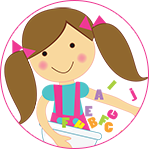 This website will simplify difficult vocabulary and language to make articles, text, and print accessible for lower level readers. The best part? It’s FREE! I love using it when I want to share an article with a group of kids, but the vocabulary is a little above their reading levels. Rewordify will highlight the vocabulary and give my students a simpler, easier-to-understand definition. That’s a very quick & totally condensed recap of our day! The day flew by, and before I knew it, I was driving home with aching feet and an inspired heart from all of the wonderful people I had met. Thanks for taking some time to stop by my blog, and I wish you all a very Merry Christmas and a Happy New Year! 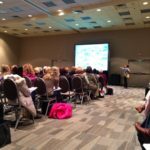 My Fabulous Weekend At The National Reading Recovery Conference! « Candy Cane Christmas Fun!